Ditch these products to keep the outdoors pristine, for your adventures and your grandchildren's. The average Australian throws away a whopping 560kg of waste a year. That represents a tenfold increase from 100 years ago. Our horse-and-cart forebears would be shaking their heads in shame. What’s more, every single piece of plastic existing on the planet today will never, ever go away. It doesn’t matter how much it breaks down or how often it gets recycled. Our existing plastic bags and straws, disposable coffee cups, wet wipes, and polystyrene plates are here to stay. One of the reasons we travel is to get away from this waste and wastefulness, to get back to the clean and pure environment. But what if the very products we are carrying with us are part of the problem? What if we were unwittingly contributing to the destruction of what we love most – the outdoors? It seems like a hopeless situation. But hope lies in the fact that we, as consumers, are powerful. By ditching and switching the products we buy and use when we adventure, each of us can personally reduce the waste we are packing into the landfill and our oceans. With a little bit of effort, we can all make an impact and go about our expeditions with a clean conscience. Every minute of every day, a staggering 1,000,000 plastic water bottles are purchased across the world. That’s 16,666 bottles per second. If you think that sounds like a third world statistic, consider that in Australia, a quarter of us drink from a single-use water bottle every week and less than 40 per cent of those bottles are getting recycled. Most end up in landfill and take more than 1,000 years to degrade. Recycling makes a difference. But what if you stopped buying plastic bottles altogether? In 2009, the NSW town of Bundanoon did just this, imposing a ban on bottled water. Instead, its stores offered reusable drinking bottles filled with chilled tap water. Simple and genius! In your own travels, particularly to countries where recycling stations are non-existent, consider substituting in a reusable drink bottle, teamed with a lightweight SteriPEN. This combo will save much more than money. 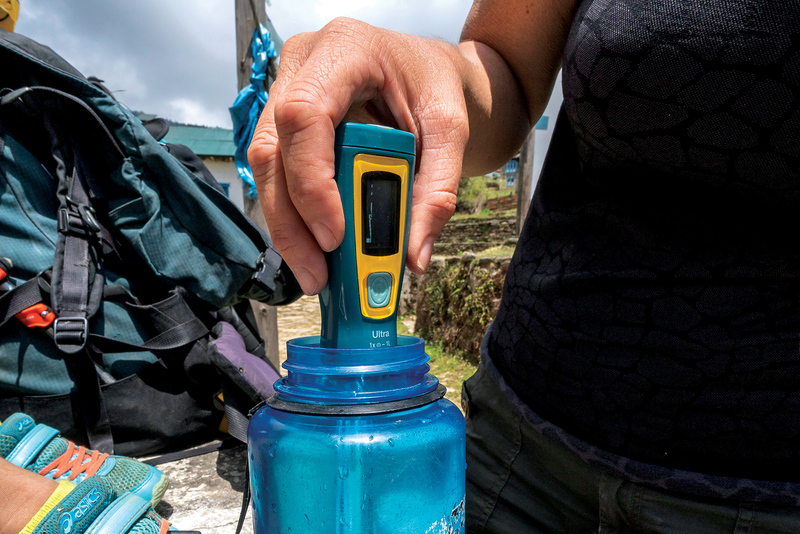 When we hiked to Everest Base Camp in 2018, our SteriPEN treated more than 100 litres of local water, preventing a potential 100 plastic bottles from becoming mountain landfill. Our $199 Ultra model takes 90 seconds to sterilise a litre of water, using UV rays. Plus, it’s USB-rechargeable from a laptop, wall outlet or solar panel, so there’s no disposable batteries involved either. The wet wipe wash has saved many a hiker travelling through a barren landscape, away from facilities. But it’s time we rethought this Roman-emperor decadence. The fact is, despite an abundance of marketing ploys stating the contrary, many wipes aren’t actually biodegradable. Worse still, when you flush them, they accumulate in sewers, as part of what are delightfully known as ‘fatbergs’ (large masses of solid waste). The next destination for these wayward wipes is the ocean, where they will take upwards of 100 years to break down. Personally, I don’t like the idea of a clownfish poking its head curiously forth from a fatberg. 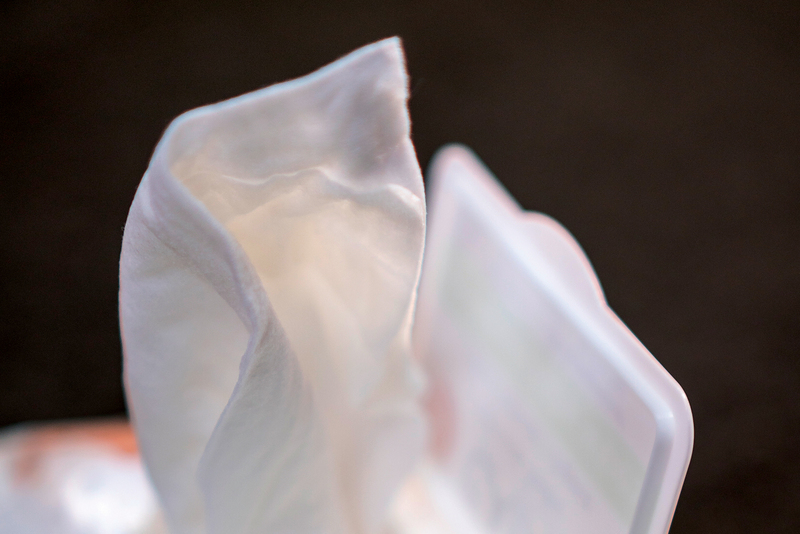 I’ve carried antibacterial wet wipes on every adventure I’ve ever tackled, until now. This year, I’m switching to a muslin cloth and cleanser for my face, and compostable and genuinely bio-degradable bamboo fibre wipes for everything further south. According to Planet Ark Environmental Foundation, 345 million handheld batteries are sold in Australia each year. Despite recycling efforts, two thirds end up in landfill, leaching toxic metals (lead, mercury, cadmium and nickel) into the environment. By recycling batteries, we can recover up to 90 per cent of the materials used in their manufacture; however, while travelling, it can be near impossible to find a battery recycling station (as it stands, they aren’t interspersed throughout the remote Tasmanian wilderness). That leaves you with three options. You can take disposable batteries home with you, to recycle later on; you can choose rechargeable batteries, which can be recharged up to 1,000 times; or you can buy Eco Alkalines, the world’s first certified carbon-neutral batteries, that contain no mercury, lead or cadmium and are non-toxic if sent to landfill. But what if you didn’t need to use batteries at all? When purchasing new gear this year, look to battery-free options, such as a USB-rechargeable head torch. 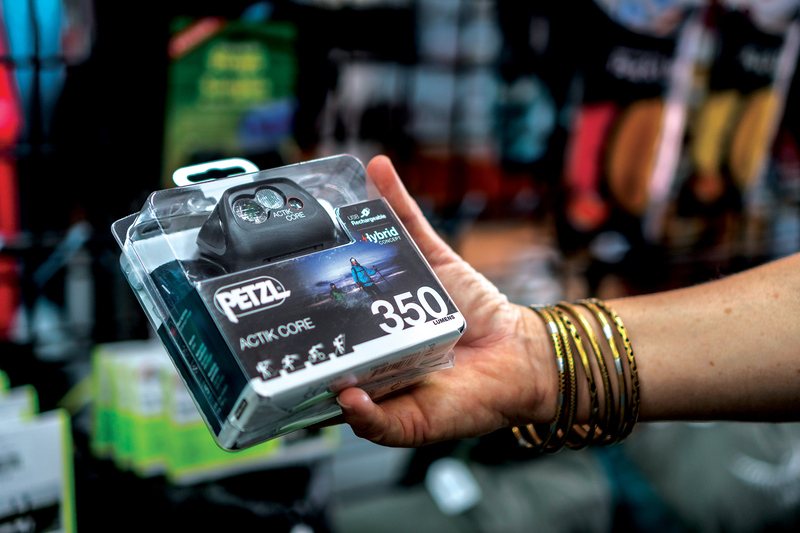 We like our Ledlenser MH6 and Petzl Actik Core 350, both of which cost around the $100 mark. Way back in 1995, I handed over a week’s wages for a One Planet canvas rucksack, before emptying my climbing rack into it and dragging it off to Yosemite. Two decades and hundreds of adventures later, it is still my pack of choice when there’s a big load to carry. Similarly, my One Planet down sleeping bag from the same era recently enjoyed its third trip to Everest Base Camp. Quality gear goes the distance. While the price tags might seem sky-high, you’ll save your money in the long run by not having to replace your gear. The environmental upshot of this is that you prevent torn canvas and broken-zipped sleeping bags from piling up in landfill. Make your goal for 2019 to buy the best quality clothing, footwear, sleeping bags, mats, packs, and tents you can afford. Only hand over your money to equipment companies that use recycled and recyclable materials, manufacture in carbon-neutral factories, support environmental causes, offer repair services, and sell products with small ecological footprints and without plastic packaging. I love Patagonia gear not only because company chief Yvon Chouinard is one of the most inspiring people I’ve ever met, but because the company’s environmental etiquette surpasses all others. Patagonia pioneered eco-friendly cotton production in USA, encourages gear repair over repurchase and donates one per cent of their sales to grassroots environmental groups doing good. 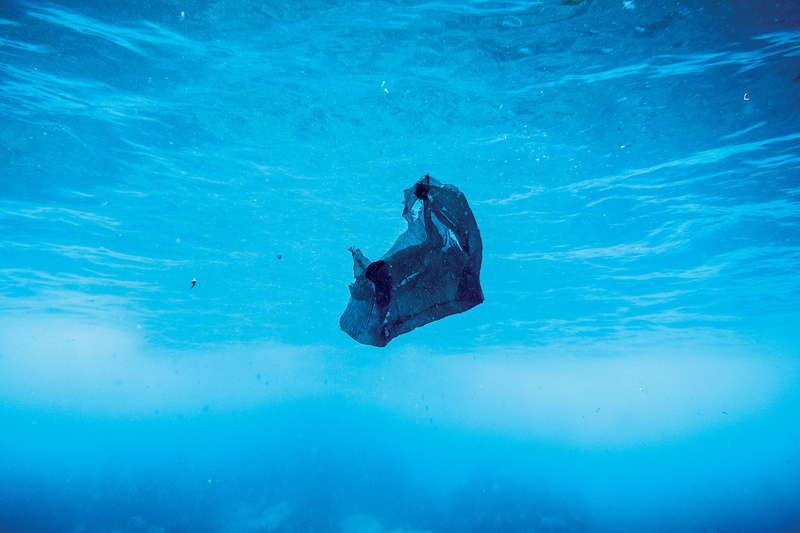 Finally, and fortunately, most of Australia has pledged to ban single-use plastic bags, but the loophole – allowing sturdier, reusable plastic bags to be handed out for a tiny fee – means an astounding number of plastic bags are still in use. 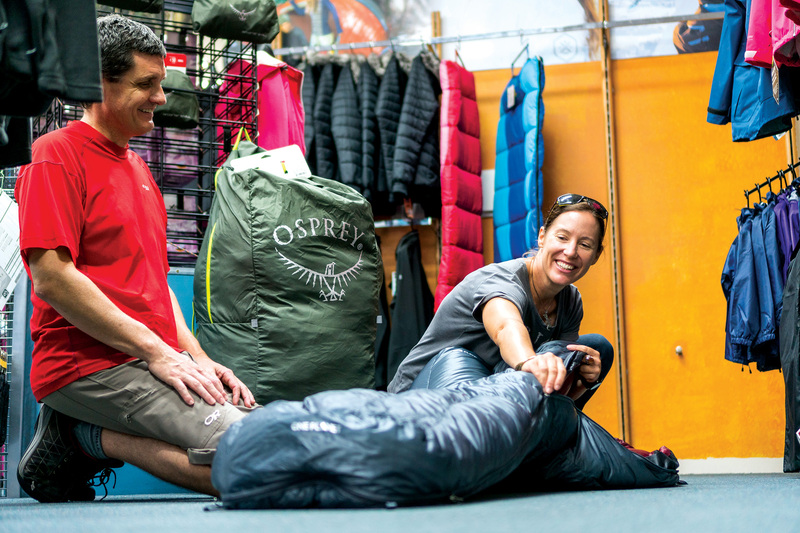 While it’s relatively easy for shoppers to transition to alternatives such as cloth bags, it’s harder for adventurers. Many of us have developed a reliance on plastic bags, using them to cheaply organise and waterproof food, clothes and gear, inside of rucksacks, kayak hulls and panniers. How to buck the habit? The simple, reusable solution is a set of packing cubes or lightweight stuff sacks, preferably those made from recycled or renewable materials. Additionally, micro foldaway backpacks can be extremely handy for travellers. They’re both tiny enough to fit in the palm of a hand and tough enough to carry day-tripping gear. Try Osprey’s 18 litre Ultralight Stuff Pack. Most of the sunscreens sold in Australia contain toxic ingredients that harm both humans and the oceans they swim in. Oxybenzone and octinoxate are two particularly troubling ingredients. 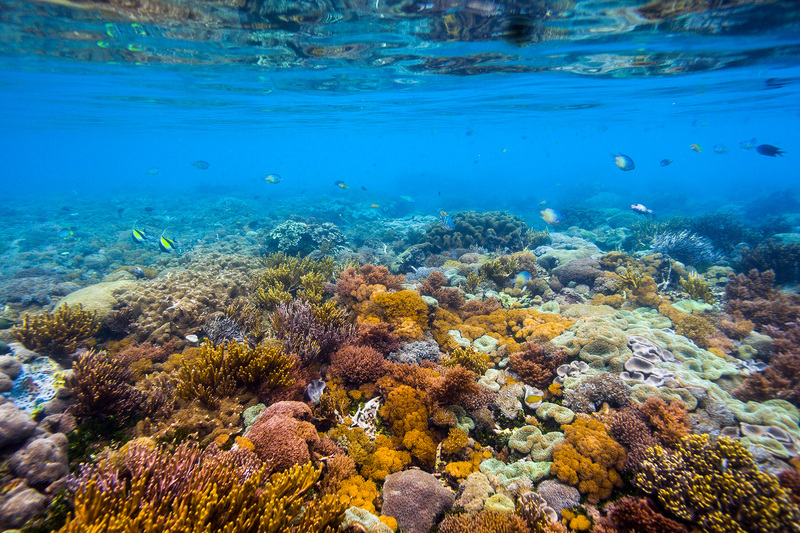 They can cause damage to coral reefs, decrease the coral’s defence against bleaching, and reduce reproduction and survival rates (which has led to them being singled out and banned in Hawaii). The dilemma faced by environmentally conscious outdoors types is obvious. It’s not as easy as simply abandoning sunscreen. After all, beachgoers don’t rub greasy, chemical-rich paste over themselves for the fun of it. 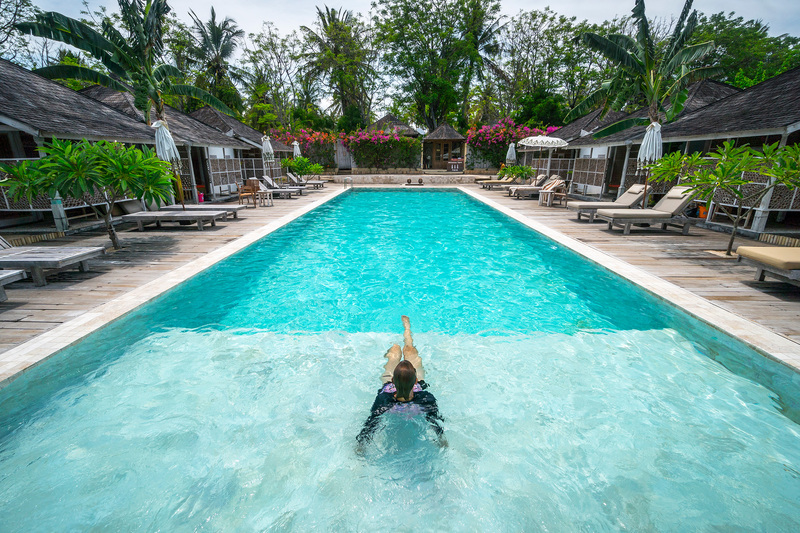 But there’s no need to ceremonially hang up the flippers, after one last dip for old times’ sake. 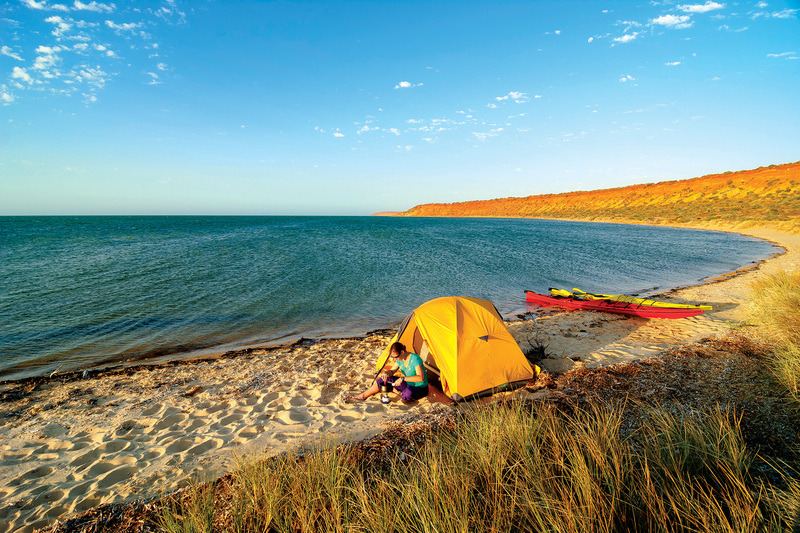 You can protect yourself from the sun with a range of reef-safe, human-friendly sunscreens on the market. Australian-made, zinc oxide-based Natural Instinct (from around $15 for 200g at the Chemist Warehouse) is one of the easier-to-use and more affordable choices. Alternatively, for those willing to suspend their exhibitionism, a decent wet suit can provide reasonable sun protection. Ready for some heart-stopping statistics? Put down that coffee and steady yourself for this: if all of the coffee cups manufactured this year were lined up, end to end, they would stretch around the globe 1,360 times. You don’t even need your morning cuppa to process that that’s a whole lot of irretrievable landfill. Difficult to recycle thanks to their waterproof, polyurethane plastic linings, single-use coffee cups account for a lot of the waste that ends up in our oceans. Aussies throw back (and then throw away) over three billion coffees in single-use cups every year. When the paper in these ‘paper cups’ eventually breaks down, it leaves behind a plastic lining that will outlast us all. Although caffeine itself may be necessary, destroying the planet to obtain it isn’t. Recycling facilities in Brisbane and ACT have contractors that can process plastic-lined cups, but this practice is not Australia-wide. Still, good examples are everywhere, in the most unlikely of places. 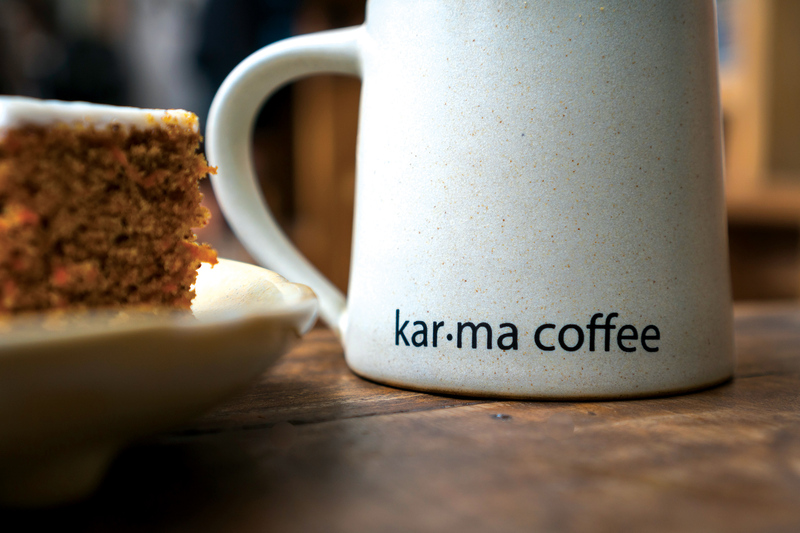 A fair-trade coffee house in Kathmandu known as The Hub gives away recycled ceramic mugs, which you can fill, wash and refill; furthermore, it recycles its paper coffee filters into notebooks, and coffee grinds into body cleaning bars and scrubs. Elsewhere, the German city of Freiburg has a reusable cup system in place, so that coffee drinkers can take cups away and return them to any participating store to be cleaned and refilled up to 400 times. For adventurers looking for a latte-launch or cappuccino-kick, the solution is simple. Carry your own coffee cup, perhaps a collapsible one if you’re short on space. Sip, relax and soak up the environment you are helping to preserve. France was the first country in the world to ban disposable food and drink packaging, making reusable coffee cups compulsory by 2020. Sadly, in Australia, we are way behind. 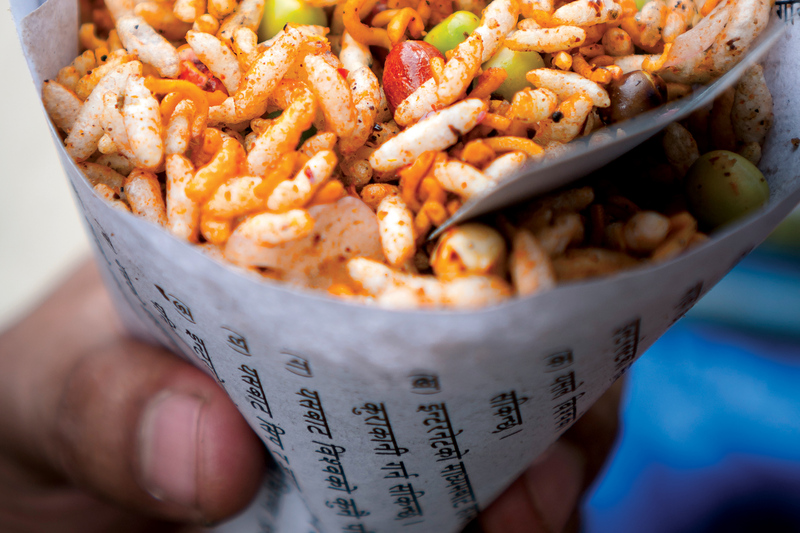 In NSW, takeaway food and drink containers account for most of the rubbish that gets thrown away. This is a huge problem because plastic and polystyrene, the materials used to produce food packaging, break down into tiny pieces in marine ecosystems. This broken-down polystyrene and plastic can cause starvation and death in the wildlife that ingests it. By 2050 there will be more plastic than fish in our oceans (according to a 2016 World Economic Forum report). If you have a passion for takeaway food, perhaps as a hard-earned reward after a demanding expedition, consider carrying a few simple items on your next journey: a bamboo or stainless steel food box and a lightweight Light My Fire titanium Spork or bamboo cutlery. Aussie company Bush Tracks do an affordable bamboo camper kit for around $25. Most readers would rather spend the night in a tent than a hotel, as would I. But occasionally you find yourself needing to reside in a concrete jungle, perhaps as a departure point or during a stopover. There’s no doubt that at these times you’ll come across cute miniature cosmetics and plastic toothbrushes. These mini toiletries can be hard to resist using during your stay and hard to resist packing as a lightweight, space-efficient option for your next adventure. But the truth is, an awful lot of non-recyclable material is usually used to dilute the already dodgy shampoo or moisturiser. Filling your own small, reusable containers is a better option when you pack for adventure. Or you can even do away with the packaging altogether by buying solid hair and body wash bars, switching to a bamboo toothbrush with organically grown bristles, and using tooth powder instead of a plastic non-recyclable tube of toothpaste. For eco-friendly, adventure-sized toiletries sold in earth-safe packaging, visit the online store Shop Naturally. Every straw you’ve ever innocently sipped on (during your post-expedition hydration) is still on the planet today. These straws will never go away. They are accumulating into a vast army, headed by General Slurp, who have publicly declared the environment their enemy. Last year, the ABC’s War on Waste team estimated that Australians use 10 million straws a day. To see what harm plastic straws do in the ocean, try watching that viral YouTube clip of a straw being removed from the nose of an endangered olive ridley sea turtle, found floundering off Costa Rica. There’s a very simple solution to all of this. 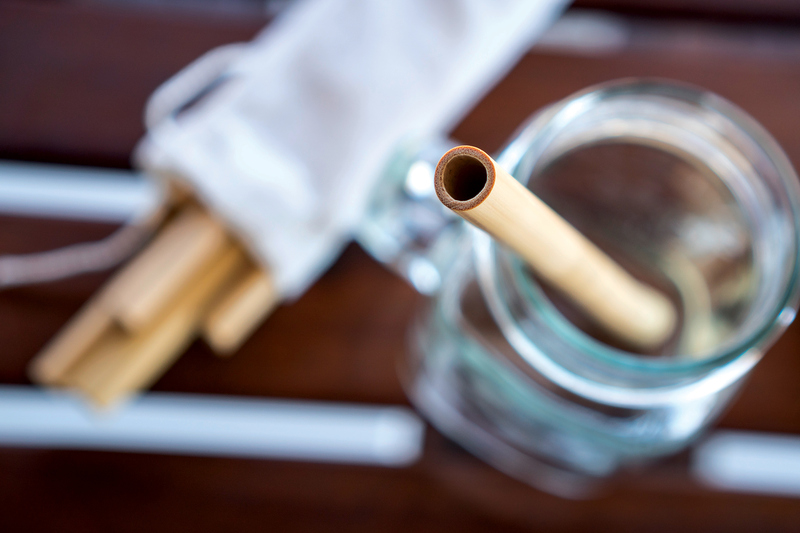 We simply have to leave plastic straws on the counter, opting instead for bamboo straws: renewable, sustainable, 100 per cent compostable, lightweight, and cheap (for as little as two dollars). They’re easy to pack on any trip and most come with a thin cleaner. Alternatively, you can sip straight from your reusable cup.